Motorcycle bikes for use in the game of Warhammer. 3 pieces. They are plastic and gray in color. Estate purchase. 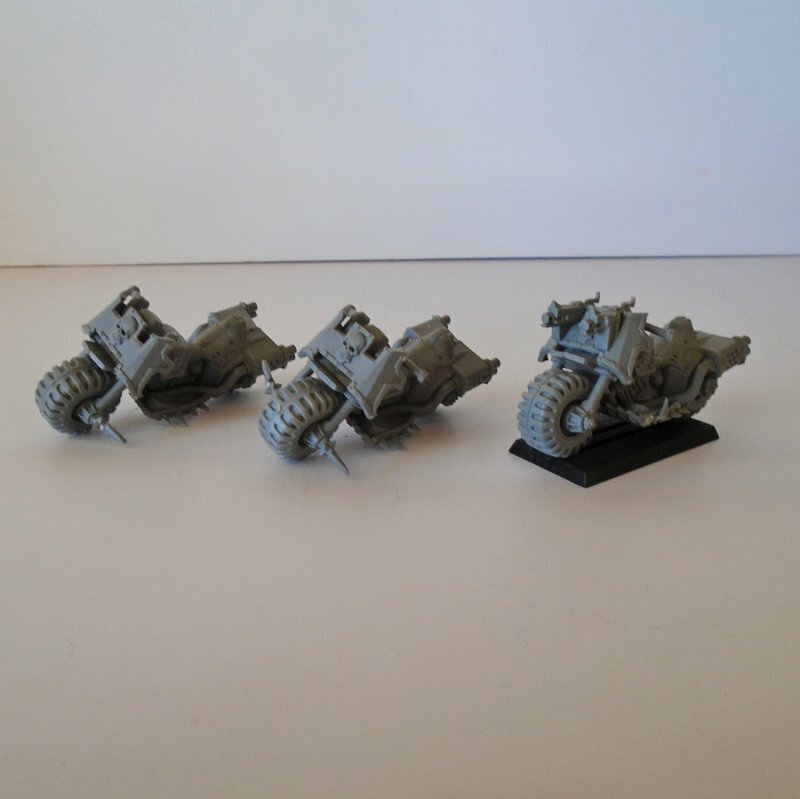 Offered in this listing are 3 motorcycle bikes for the game of Warhammer. One is on a stand, the other two are not. They may not be exactly alike, meaning they may not have the same parts added to each one. I don't know what stage of completion they are in as I've never seen or played the game, but two appear to have one of the handle throttles missing.